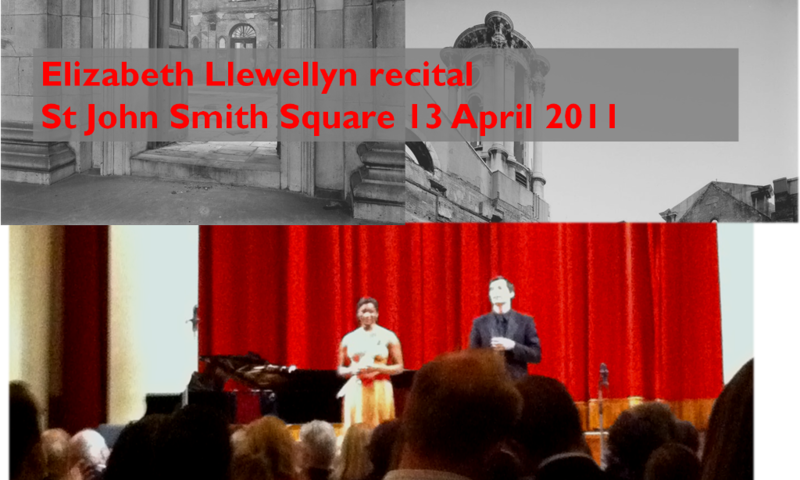 This was one recital that confused me from the outset. The programme was a very strange mix of songs and arias. Making Gounod, Rossini, Fauré, Berlioz, Schubert and Rachmaninov sit together is a balancing act beyond most recitalists and I am afraid this was the case with Marina Rebeka. The voice is impressively well projected but in the first half left me very cold. Technically correct singing and clear projection is a fantastic starting point, but somehow that very impressive technique was the main fault. She sang for most of the recital simply too loudly to be truly enjoyable. The Fauré songs were efficiently delivered but with a tone too strident and at a volume that robbed their intimacy and elegance. The two arias from Faust were brilliantly detailed and sang but it was disappointing to see her sight reading passages. I wish she had dropped the French art songs and instead have the time to rehearse enough so as not to need the score as reference that was consulted all too frequently. The choice to excise three songs from Les nuits d’été was another strange gamble. And having heard them a few weeks back beautifully delivered with panache and sweetness by Joyce DiDonato it was a slight disappointment due to the strident tone and the too loud delivery for the venue, especially for the first two songs. For L’île inconnue she did find an appropriately softer delivery and more rounded expression maybe not as dreamy as Joyce but surely a more appropriate feel to it. Then instead of getting the scheduled Bel raggio lusinghier we got instead a little more Gounod, which actually made sense with the francophone first half of the recital. 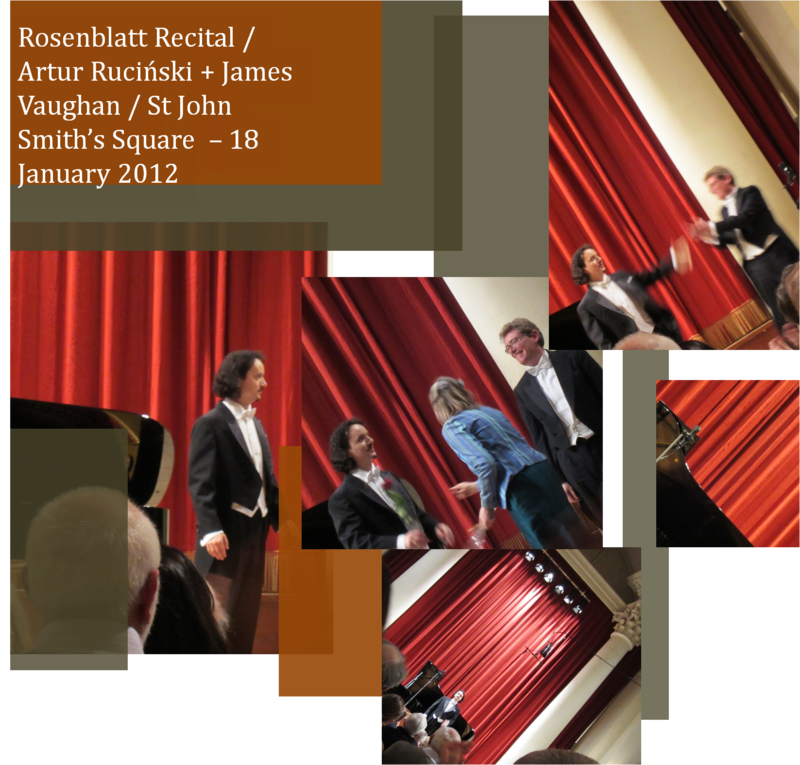 The fourth Act aria from Roméo et Juliette was delivered with impressive ease, despite the slightly too sharp attacks. It was an impressive display that clearly enthused the audience, I just wished for a bit more depth and warmth. 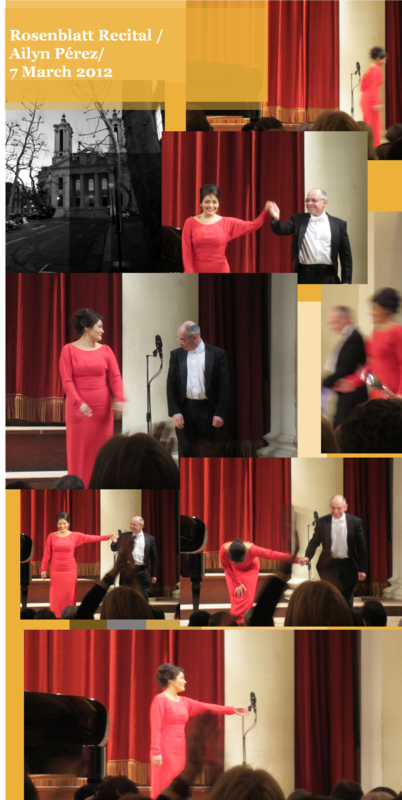 After the interval we were treated to a change of dress (from dark purple to a dark grey and gold lamé number) and also songs by Schubert and Rachmaninov which were a bit of a mixed bag. The Schubert songs brought forward some of the charm and panache the first half was missing, she delivered Die Forelle with thoughtful reflection and spark. She continued with a melancholic Gretchen which it was a touch too hard driven by the tempo adopted by the accompanist. The concluding song was again delivered with lightness that was rather amusing and not as loudly as most items up to that point. The programme made far too many apologies for the quality of Rachmaninov’s songs, some were written as a quick earner, some were unfinished. Overall they allowed Rebeka to colour her singing and to find a rounder tone and at the lower volume it was almost like listening to a different singer. The dramatic melodies fitted her voice very well. The material was indeed slight but delivered with much more winning attitude (despite the melodramatic overacting during Kak mne bol’no). The second half collectively made it clear what the first half could have been if scaled down a notch. After thunderous applause, she treated us to Bel raggio as an encore. And it was rather beautiful, if again over projected and lacking a bit in colour. Marina Rebeka is a great talent, but she needs to know when to scale down her performance in more intimate surroundings. I love a really bold, accurately projected voice, as long as it does not impair characterisation or the shading and phrasing. She will be singing Lucia di Lammermoor in a new production at the Latvian National Opera and can imagine over a big orchestra and in costume she will be a unmissable spectacle. 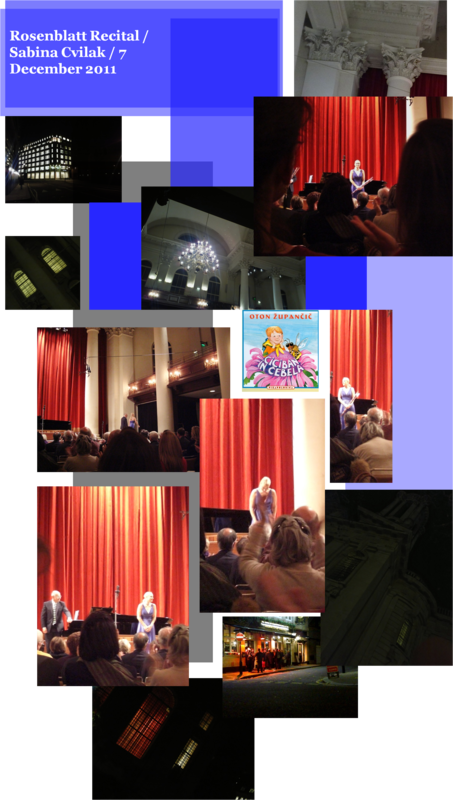 Just somehow in recital she was not as engaging and enthralling as someone so richly talented should have been. This was the first time I had the chance to listen to Ailyn Pérez live and it was again another happy coincidence for Londoners to see her in concert, as an indisposed Giuseppe Filianoti meant that she accepted to cover for him at this occasion, as it was it was stated from the stage, it was disappointing not to have Filianoti, but that feeling did not last too long when Pérez accepted in a matter of minutes. As she jubilantly expressed on stage, this was her third time performing for the Rosenblatt recital series and was obviously excited. Her opening Hahn songs did not quite reach the rounded beauty those songs attain when sang by Veronique Gens but that has to do more with Pérez’s burnished timbre and much more explosive stage presence. These songs require a radiance and warmth that in my view are too restrictive for her beautiful lyrical instrument. Her voice is as expressive as her dress sense for this recital, a beautiful red dress that looked very demure till one noticed the gold detailing on the plunging bare back and side slash, revealing much more leg that I am accustomed to on recital stages. Overall she exuded beauty and charm in equal measure. When she moved on to the Spanish section of the programme (she did let us know she had just returned from Seville and felt more in tune with the material) she took flight, the delivery was ardent without sacrificing the smooth delivery. Her Luna song was fiery and embodied the heroine who declares her pride to be Spanish finishing off the song with her shoulders dancing to the rhythm of this 1918 piece of Hispanic exotica. The De Falla songs were delivered with panache, deep understanding, sense of fun and anguish in appropriate measures. A good example what a great singer can bring to more prosaic material was her El paño moruno/The Moorish cloth which was delivered with sweet anguish and longing. Adding a layer of interpretation to a few lines of very unambitious poetry. In the hands of a less gifted singer this would turn into a farce all too easily, it is those small exceptional touches that show true class. The gorgeous lyricism of Asturiana was a marvel, softness and depth of feeling alongside Iain Burnside’s exemplary, pared down playing was a moment of magic. In Nana she deployed her mezza voce with a bronze like quality caressing the long and winding melody of this lullaby transporting us to a private world of devotion and love. The last two songs were much more fiery affairs that brought instant release and a fitting close to the first half. What followed after the interval was even more exciting. The two Manon arias and Desdemona’s Willow song scene were as close to my idea of perfection as possible. Her Manon was so vividly acted, all the little laughs and sideways glances added to the naiveté of the character which was galloping through Massenet’s smooth melodic line with such vibrancy and gusto. It was simply so fantastic that I can’t imagine what’s holding the Royal Opera from booking her as their next Manon. She had all the spark of Beverly Sills with the glowing ample tone of Victoria de los Angeles, paired with engaging acting ability. It is hard to imagine anyone in the audience not being moved by her Adieu, it was so genuinely heartfelt she obviously welled up in the conclusion. She more than brought the house down after this triumphant portrayal. Her Amelia Boccanegra was equally vivid with liquid tone and sharp upper register. This aria is a true workhorse for any lyric soprano, which can make it a bit of a chore to listen through from a lot of lesser singers. 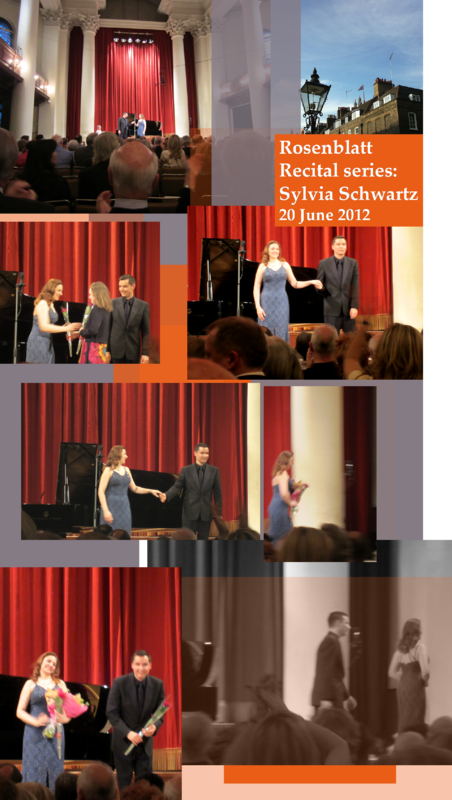 She made it work beautifully but we all anticipated her Desdemona which was the juiciest part of this recital. This scena is one of my most favourite arias in the history of opera, a still lament where it really displays a singer’s understanding of Verdian style and also an unforgiving display of coloratura, use of shading and shifts in dynamics. Her depiction was truly amazing. A transporting, transcendent experience. Every turn of the Willow song was thoughtful and dramatic, a display of acting skill and warm all enveloping sound. The concluding Ave Maria was smooth and her sound grew and hugged every word, the final phrase closing the aria as a mere whisper. She is set to perform the role on stage in Houston and I can only hope it will be webcast or committed to a disc format as an important document of this truly exceptional young singer. The move to the Puccini section was with a lovely rendition of the aria from La Villi, which was perfectly lovely and followed on by a devastatingly strong Liu which gave us an insight how she will perform the role in her upcoming appearances at the Royal Opera. It was a potent mix of crisp delivery with a simmering undercurrent of anger and devotion. It was complex and rounded definitely spine tingling. She concluded the recital not with the scheduled Butterfly aria (she did explain that was due to the effects of her plane journey. After such a demanding programme we really had no right to complain) but with Donde lieta usci which was lustrous and bright displaying her crisp diction and direct, full-throated delivery. If you’ve made it this far, you will know what an extraordinary evening this was, the enthusiastic, grateful reception by the audience verging on adulation was more than justified. I am looking forward to seeing her as many times as possible in the future and dear readers if she is performing nearby (she has a debut appearance at The Met coming up) go and see her. A huge star in the making is amongst us. Always enjoy returning to St. John’s Smith Square in Westminster, if only to gaze at the serenely beautiful architecture. Las night it was a lovely experience. The four seasons are always difficult to pay full attention to. Familiarity through over playing and advertising has “burnt” the work for me. But when I am made to listen to it live it always sound more exciting. Especially since I’ve got no access to the fast forward button! The violinist took liberties with the concluding part of the Autumn and parts of Winter. For any music buff they would have been unbearable blemishes to a baroque gem. For me they were an affirmation of the flawed nature of all of us. They bring to life music since it becomes unpredictable and allows another level of interpretation. Their Respighi was pretty indifferent, as most of his music is just cute sound effects, in my humble (not) opinion. Souvenir de Florence was wonderfully bombastic. Rather fit to the specifics of the composition. originally orchestrated for a quartet, last night it was played by a full string orchestra. With truly unexpected results! They sheer deluge of sound was truly surprising. At the end of it all it’s a Russian composer trying to make “Italian flavoured” music, but finding it difficult to leave behind his Russian ways 😉 The orchestra brought that aspect to the fore. Clarified the discrepancy between the composer’s intentions and the work’s final direction. A very interesting point, made in the most graphic terms possible. That’s all about last night…and a good chance to say once more thanks to Anna for the tickets! and it’s very exciting! It’s such a fantastic space for music. which makes any concert all the more exciting! Will come up with some kind of review tomorrow. Last concert was Ute Lemper at the Barbican…which was simply breath-taking, but then you can’t expect anything less by the great Ute!